Designed to be fun and stylish, the 2012 Rio is economical and Golf-ish. Kia has introduced the new Rio at the Geneva Motor Show. Available in three- and five-door body styles, the redesigned model features a bold front fascia, deeply sculpted doors, and optional LED daytime driving lights. It measures 55mm longer, 25mm wider, and 15mm lower than the outgoing model. Furthermore, the 2,570mm wheelbase results in a spacious cabin and a luggage compartment which can hold up to 390 liters (13.8 cubic feet) of cargo. Speaking of the interior, the cabin is described as "clean" and "sophisticated." While we wouldn't go that far, material quality seems significantly improved from its predecessor. 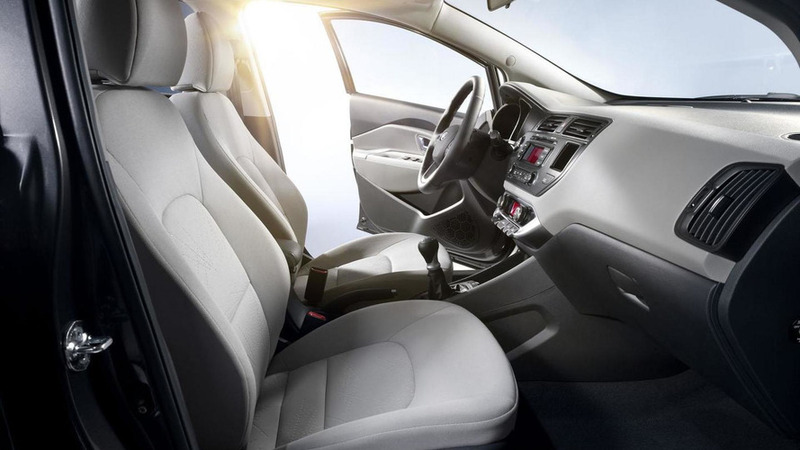 Additionally, the Rio offers options such as passive entry, Bluetooth connectivity, and heated front seats. Under the hood, four different engines will be available. The entry-level 1.25-liter petrol produces 85 PS (63 kW / 84 hp) and 118 Nm (87 lb-ft) of torque, which enables the car to accelerate from 0-100 km/h in 13 seconds and hit a top speed of 167 km/h (104 mph). Moving up the 1.4-liter petrol rewards owners with 109 PS (80 kW / 108 hp) and 136 Nm (100 lb-ft) of torque. Thanks to the extra power, the dash from 0-100 km/h takes 11.5 seconds and the top speed is 181 km/h (112 mph). On the diesel side, there's a 1.1-liter three-cylinder that develops 82 PS (60 kW / 81 hp) and 94 Nm (69 lb-ft) of torque. This anemic engine means 0-100 km/h clocks in at 16.4 seconds and the top speed is 161 km/h (100 mph). If you don't have all day to wait around, the 1.4-liter four-cylinder churns out 90 PS (66 kW / 89 hp) and 216 Nm (159 lb-ft) of torque. It enables the car to accelerate from 0-100 km/h in 14.2 seconds and top out at 171 km/h (106 mph). 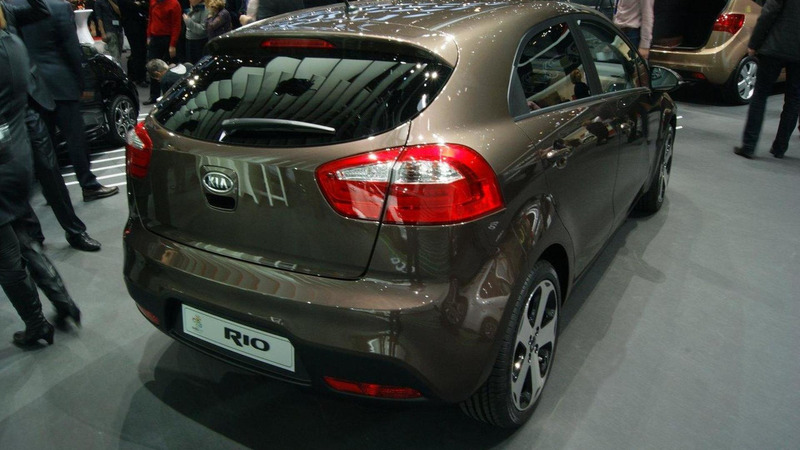 The five-door Rio will go on sale later this year, while the three-door variant will be launched in early 2012.